Werner Drewes (American b. Germany. 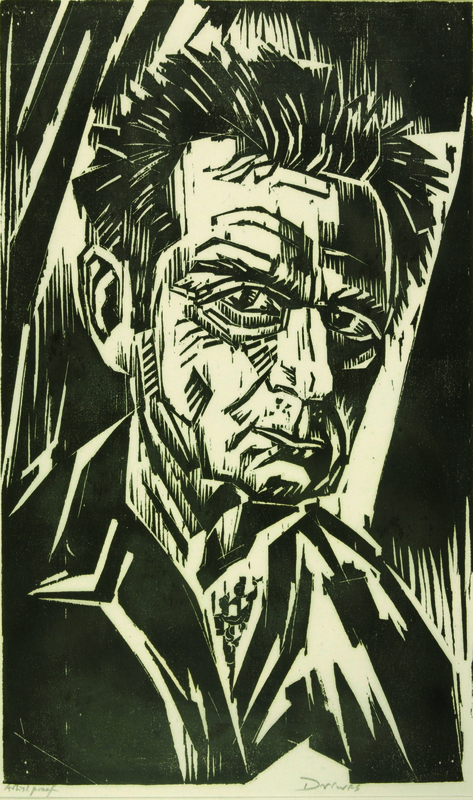 1899-1985) "Self Portrait," woodcut, 18 1/2" x 11 1/8," 1971. 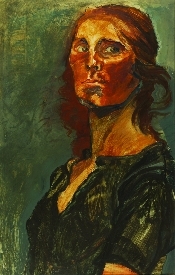 Sharon Wybrants Lynch, "(American) Revolutionary Woman," mixed media on paper, 44" x 26," 1974. Gift of the American Academy and Institute of Arts and Letters. 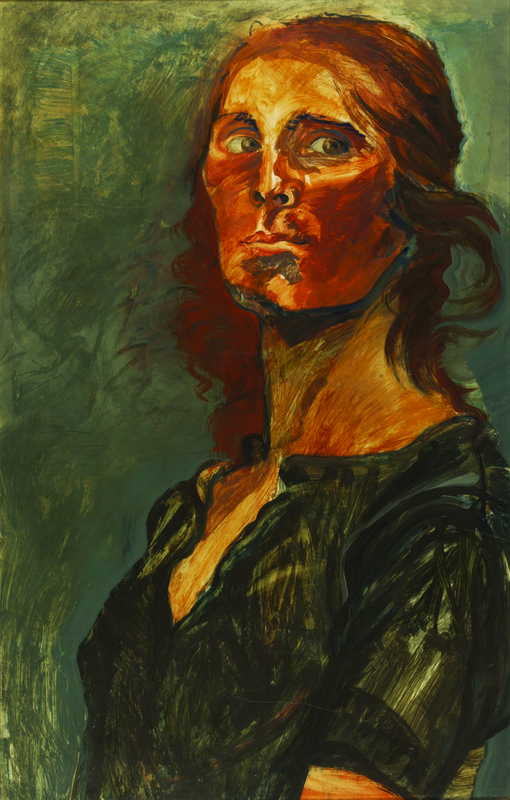 MACOMB, IL - -"Portraits from the Permanent Collection: Not Just Another Pretty Face" are on display through Thursday, Feb. 9 in the Western Illinois University Art Gallery. A public reception will be held 6-8 p.m. Tuesday, Jan. 24. Guest curated by Susan Quail (Davenport, IA), a 2011 Fall Master of Arts graduate in Western's Museum Studies Program, the exhibition features works that in some way reflect the University's 2011-2012 campus theme: Science and Technology: Discover, Innovate, Create. There is a wide range of two and three-dimensional media, including paintings, drawings, prints, ceramics and various metals on display. Portraits include the masters: Albrecht Durer's (1471-1528) "The Sudarium of Saint Veronica," "Baudalaire" by Edouard Manet (1832-1883), "Self Portrait in a Velvet Cap with Plume" and "Abraham Francen-Apothecary" by Rembrandt van Rijn (1606-1669), and Auguste Renoir's (1841-1919) "Portrait de Berthe Morisot"; several New Deal allocations, including: "Women Sewing" by Macena Barton (1901-1986) and J. Theodore Johnson's (1902-1963) "Portrait of Samuel B. Hursh" and "Portrait of Walter P. Morgan"; WIU faculty: Wm. Leroy Moffett's "Life and Death Totem," Don Evey Crouch's "Self Portrait with Rabbit," "Untitled" by William Howard and Michael Mahoney's "Julie with her Guitar"; and alumni: "Self Portrait with Flamingos" by Joseph Morzuch, "Self Portrait in Clownface" by Nathaniel Billingsley and Alison Witt's "Self Portrait in Studio." Harold "Tuck" Langland's "Portrait Bust of Sonny Bell" will also be displayed. 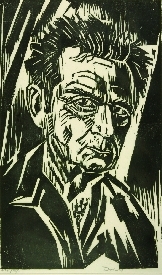 Langland created this portrait in clay of the former WIU theatre faculty memberduring an artist-in-residence program at WIU in October 1989. Students and faculty later produced this casting in bronze. The Western Illinois University Art Gallery is open free to the public from 9 a.m.-4 p.m. weekdays and from 6-8 p.m. Tuesdays during exhibitions. For more information, call the University Art Gallery at (309) 298-1587 or visit wiu.edu/ArtGallery.